Home · Property Management · Latest News : Are Higher Rents on the Horizon? Are Higher Rents on the Horizon? If you are thinking about raising your rent soon, you may want to consider the latest unemployment figures. Despite the fact that the May jobs numbers are being touted as the “Best in 10 years”, these gains are not likely to impact the current rental market, which continues to decline. High unemployment is blamed for this continuing rental market slump by reducing the pool of qualified tenants. Another factor: the glut of flipped homes. While the 431,000 jobs created in May are a marked increase over April’s 290,000, the vast majority of those May jobs were temporary U.S. Census workers. Only 41,000 private sector jobs were created in May. In April, private sector hiring increased by 218,000. Despite the Census hiring, overall government payrolls have dropped, due to state and local government cutbacks. While the job numbers are lower than hoped, there is still room for some optimism – at least the job market is improving, albeit very slowly. In the meantime, rents are still caught in a downward decline. 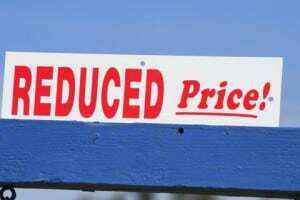 Research specialist Reis, Inc., has reported that while actual rents recently have declined another point or more, asking rents have also dropped, signaling that landlords are lowering rents before a prospect applies, possibly to hedge prolonged vacancies. These numbers are, of course, national averages. Some landlords have managed to weather this economic crisis unscathed, while others are feeling squeezed, delaying rent increases for now. But it pays to research your market to see what options currently are available to tenants. Many experts agree that the actual job numbers are not as crucial as the overall perception regarding the labor market. Once potential rental applicants believe their employment status is improving, that may be enough incentive to commit to a rental lease. See our feature, Bad News for the Rental Market.